The constitution bench of Supreme Court to resume hearing of pleas challenging triple talaq on Tuesday. Attorney General Mukul Rohatgi likely to argue to clarify Centre’s stand on whole issue. The Supreme Court on Monday said it would examine whether triple talaq was an essential part of religion under Article 25 of Constitution. 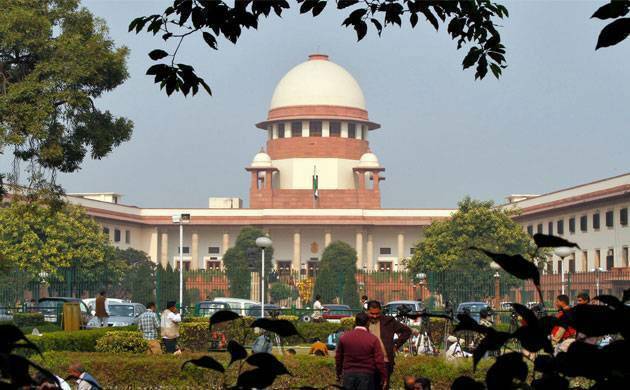 The bench, also comprising Justices Kurian Joseph, R F Nariman, U U Lalit and Abdul Nazeer, asked the government why it had not brought in a law to bring about reforms if it had found the practice of triple talaq as wrong. Attorney General Mukul Rohatgi said that all the three forms of divorce among the Muslim community - talaq-e-biddat, talaq hasan and talaq ahsan, were “unilateral” and “extra-judicial”. “Yes, we can bring law. There is no law for past 60 years. It has not been done. But the court should first strike down these practices which are not in confirmity with the Constitution,” he said. Rohatgi said that since the court is dealing with only one form of talaq, therefore he was restricting itself to one form only although he considered all forms as wrong and unconstitutional. The attorney general said the issues of Muslim marriage and divorce were separated from religion in Shariat Act of 1937 itself and have been codified as personal law under Section 2 of the Act. He said the apex court has to test them on the touch-stone of the fundamental rights of gender equality, justice, dignity, gender discrimination and human rights under the constitutional provisions, including Articles 14, 15, 21 and 51A. “Muslim women must have equal rights to property, succession, marriage and it should be non-discriminatory among the women of same class and other communities,” Rohatgi said. Rohatgi said when half the population of a particular community is not empowered, no equal opportunity is given, they are devoid of gender equality, then it does not pass the test of constitutional morality. He said even if triple talaq is considered as an essential part of religion and falls under Article 25, the practice still has to be constitutionally moral. “Even if talaq is considered under Article 25, it has to be related to the fundamental rights and should abide by the principles of gender equality, non-discrimination and justice,” the AG said, adding that all personal laws have to be in confirmatory with the Constitution. To this, the bench insisted that the government has to first prove that this practice of triple talaq was not essential to Islam and only then can it delve further into other aspects. To buttress his argument that practices or customs were not an essential part of religion, he said that in the Hindu religion, women used to practice Sati till the law termed it as illegal and obsolete. As far as Hindu laws are considered, various reformatory steps were taken but with regard to Muslim laws no such steps were taken, he said. Also read: What? Ranveer Singh is the real 'Half Girlfriend' of Arjun Kapoor?